Hello…. My name is Ann Barrett, and I live on the Isle of Wight. I enjoy Genealogy, growing Fuchsias, watching Formula 1 Motor Racing, Elite Speedway Racing and Football, also Dolls Houses. 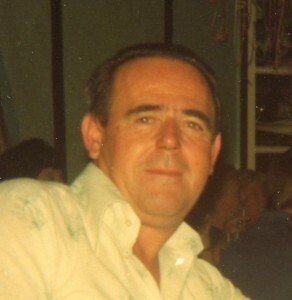 My husband Les sadly passed away on 2nd May 2007, so I should like to dedicate this site to his memory. Without his tireless help, support and companionship, I could not have accumulated this amount of information and hope it will stand as a testament to his wonderful spirit of generosity and willingness to help others. He was a quiet, caring man, content with what he had in life. He is greatly missed. I am using this site to share information with others who are researching their ancestors on the Island, gradually adding researched items and photographs. I will be continuing to index all manner of items and hope you will find something of interest within these pages. I would be happy to give you further detail of anything that you may find on this site. Copyright © 2009 Ann Barrett. All Rights Reserved.